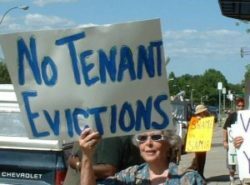 The Boston Tenant Coalition (BTC) is a coalition of grassroots tenant neighborhood groups, community development corporations, homeless and advocacy organizations that promotes affordable housing in Boston. The BTC involves tenant leaders and housing activists from a wide variety of constituencies and neighborhoods to defend and expand the rights of tenants, and to push city, state and federal government, as well as private industry to address the needs of low-income tenants. Our niche in the affordable housing movement is our stalwart promotion of tenant rights, and our emphasis that affordable housing needs to be both permanent and targeted to Boston’s low-income populations.